The one-act ballet is a repertory staple for all ballet companies. 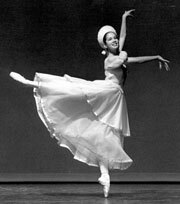 Short ballets in the Westside Ballet repertory include Valse Fantaisie (pictured here) and Serenade. These short ballets are performed by advanced students and often anchor the Spring Performance, opening or closing each act.